El Morabba3 has transcended the borders of the Middle East with their music and will be in Turkey for the first time at Salon İKSV (Istanbul Foundation for Culture and Arts) on Oct. 5 and 6. The Jordanian band El Morabba3 got together in 2009 to blend their musical insight with social lyrics. Defined as angry, holistic and sharp, the band gained widespread popularity with their new rock/post-rock and electronic sounds. Depicting the Arabic independent music scene with their journey in art, El Morabba3 became one of the most important bands of the Middle East. After their debut album was released with the same title, their second album "Taraf Al Khait," released by the label Universal Music MENA, reached even wider crowds. 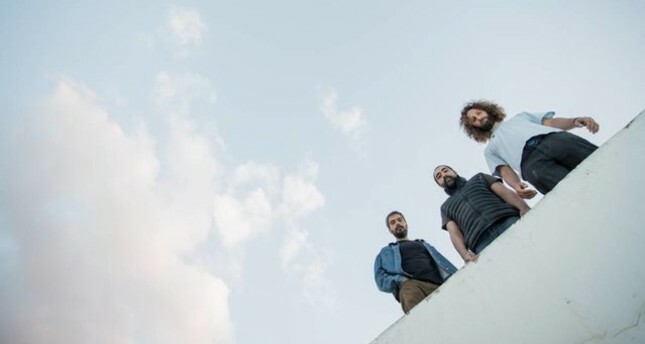 El Morabba3 has broken cultural barriers and created a new sound that expresses the concerns and thoughts of the people who live in an unstable and restless region. Formed by Jordanian artists, El Morabba3 pushes boundaries with their songs on politics, social problems and injustice. Despite all the difficulties, El Morabba3 is loyal to its roots and cultural legacy and continues to reach Arab independent music lovers. The band is dedicated to creating a unique art form and building a solid relationship with their fans. This approach has clearly been successful, with the band's ever-growing popularity already spanning more than eight years.